The Innevation Center is a one-of-a-kind public/private conference, collaboration & coworking environment created by Switch. The mission is to boost and diversify Nevada’s economy. Below is top news that happened for The Innevation Center during the week of March 8, 2015. LaunchUp is looking for early stage startups/projects to present at the next event in April 2015. At this event, the startup community provides an entrepreneur-friendly environment for feedback and help. “They’re looking for folks who have a prototype or a demoable product, not idea-only presentations. If you’ve raised more than “walking around town money” (>$250k), have a large team (>5 FTE) or have been through a startup accelerator, LaunchUp probably isn’t a good fit for you,” said The Innevation Center team on their blog. “VegasTech.com has announced a design contest for their new logo,” The Innevation Center team wrote on their blog. 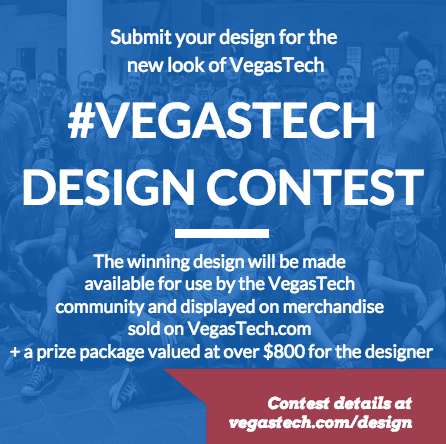 “The winning designer will not only win a sweet prize pack but will also have his or her work appear on new #VegasTech merchandise.” Read more and get information on submitting your design here.